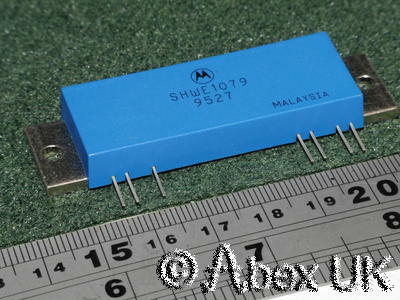 The Motorola SHWE1079 is a selected version of the MHW720A2, which is an RF power amplifier module capable of delivering 20W minimum output from 430-470MHz with a supply of 12.5V. 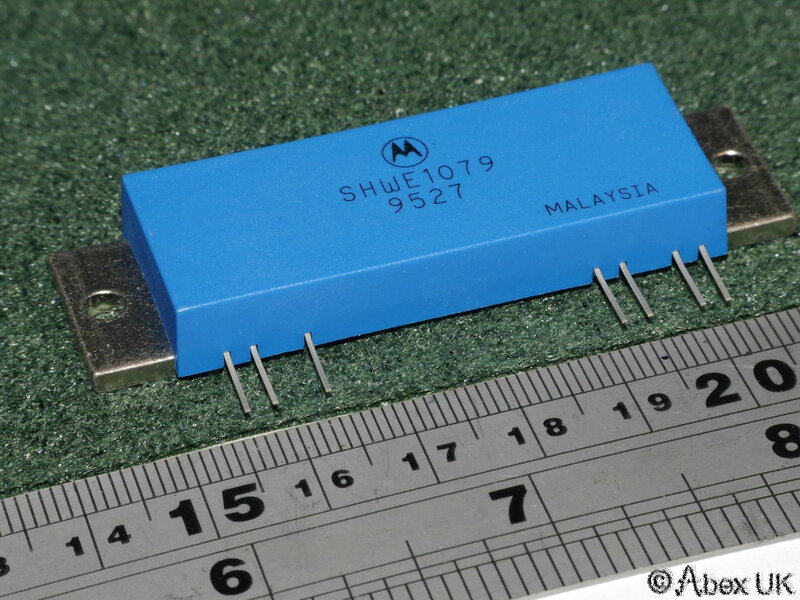 The selection criteria for this part was minimum output power >25W, all other specifications remain as per the standard part. Perfect for portable or mobile radio projects, or a driver stage in something bigger. Covers the UHF amateur band at 70cm. Please see datasheet for full details.